The National Active Championship contest is our way of exciting our children to imbibe a healthy and physically active lifestyle to make them academically focused and emotionally balanced overall personalities better equipped for a healthier, happier and rapidly surging future India. Ms. Nasim has over 15 years of experience working with several International Technology Platforms for Business automation and efficiencies. Prior to assuming the role of GM Active Fun Academy, Ms Nasim has been associated with TopYa! since Jan 2016 including establishing TopYa! India Pvt. Ltd.
Ms. Nasim has worked as Product Manager for US based Global Tech Companies namely (i) Countdown Tech Pvt. Ltd., (ii) Entente Business Solutions and (iii) UCA Global. Ms. Nasim is a Graduate from Delhi University. Her hobby is Nature Photography and her passion is to work with Children. Biyyala Venkata Papa Rao( B.V.P.Rao ) worked for Sports Authority of India for five years from 1984 to 1989 during which he had conceived and implemented a major talent hunt programme called Special Area Games though which raw sports talent form remote and tribal areas of the country was identified and nurtured. The scheme is one of the most successful talent identifications and nurturing programme of India, which produced several Olympians including ace archer Limba Ram . The same SAG programme has produced Sanjay Boro from Assam who helped Indian team won a medal at archery World Cup in Columbia last month. Mr Rao worked in Assam in several capacities in Assam as an IAS officer, including Home Commissioner of Assam and Deputy Commissioner of Jorhat, Mr.Rao has promoted sports in Assam in many areas. Mr.Rao had been sports enthusiast from primary school and played many sports for his school and college. His main sport has been Equestrian, which has played at national level. Mr.Rao was the founder president of Assam Equestrian Federation. 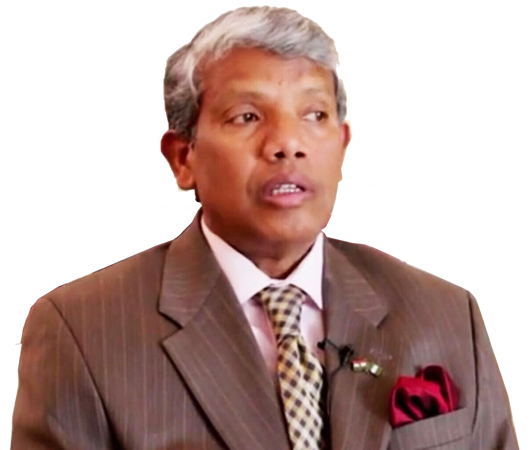 B. V. P. Rao, has worked for United Nations who had set up the Ministry of Culture, Youth and Sports as part of Security Council mandate to develop Self- Governing institutions in Kosovo after the war. In this 6 year tenure from 2000 to 2006 , he spearheaded a reform programme of Sports Federations of Kosovo. As part this programme a sports legislation was drafted by him ( along with others), democratized the sports associations and organized several capacity building initiatives to enhance the transparent and efficient management of sports in Kosovo. Mr. Rao kept academic interest in sports and physical education. He has done a post graduate diploma in Olympic Studies at the International Olympic Academy, Olympia, Greece. Mr Rao took voluntary retirement from Indian Administrative Service in 2006. He works on several issues of Civil Society.. He has now taken a major initiative to start the Clean Sports India Movement to set up professional sports Federations in India which includes former sports persons. Manisha Johri has a vast experience in the education field and is an Experienced, Skilled and Student-focused Educational Leader having a strong commitment to the holistic development of students. She has a M.Sc degree in Physics from Department of Physics & Astrophysics, Delhi University and B.Ed from Regional College of Education Ajmer. Her dynamic work experience: Founding Principal of Delhi Public World School Subhanpur, Ghaziabad; Principal in Delhi Public World School, Greater Noida; Principal in Chrysalis High, Yelahanka Bangalore; Vice Principal in Sindhi High school, Hebbal, Bangalore; PGT Physics in Sindhi High School, Hebbal, Bangalore; PRT Science in Mayoor School, Ajmer and PGT Physics in Mayo College Girls’ School, Ajmer. Other than her vast experience with students from various schools from different parts of the country she has also written an article on ‘Democratic practices in school’ in the September, 2013 issue of the magazine ‘Mentor’. Chairman and Editor-in-Chief of Global Dialogue Review (GDR), Moses Manoharan had a distinguished career of nearly two decades with Reuters in both print and television. Mr. Moses was a junior National level hockey player for Singapore and played in the first division of the Madras Hockey League. He was on the Sports Desk in Reuters in London and in charge of sports coverage for Asia during his nearly two decades service with Reuters News and Reuters TV. A track and field specialist at the Olympics and a senior Cricket writer who toured with the Australian and England National sides, he also covered two Table Tennis World Championships. Apart from this, he headed or covered four Asian Track and Field Championships and two Cricket World Cup Finals. His service with Reuters spanned the globe, from Beijing to Belgrade, New Delhi to Jakarta, London to Tehran among the great cities of the world, and had served as regional head of Reuters Television. He now, in addition to GDR and affiliated think tanks in India and abroad, also runs a TV channel and owns a film and television production company. Dr. Talat Ahmad is an Indian Earth Scientist and Professor at the Department of Geology, University of Delhi. He took charge as Vice-Chancellor of Jamia Millia Islamia, New Delhi on 15 May 2014 after he was relieved by Professor Ali Muhammad Shah, Dean Academic Affairs who carried out the duties of the Vice-Chancellor of the University of Kashmir till a new Vice-Chancellor was appointed. He had earlier taken over as Vice-Chancellor of University of Kashmir from Professor Riyaz Punjabi on 1 June 2011. Prior to this, he was teaching Geology at the University of Delhi. Dr. Talat Ahmad was formally appointed as the 14th Vice-Chancellor of Jamia Millia Islamia on 29 April 2014 by President Pranab Mukherjee in his capacity as Visitor of the Central University. He took charge from Professor S M Sajid who had been serving as officiating Vice-Chancellor since July 2013 since former Vice-Chancellor of Jamia Millia Islamia, Najeeb Jung was made Delhi's Lieutenant Governor. Mrs Mitra started her career as Geography teacher with DAV Public School, Gaya where she served for 5 years. She joined Nazareth Academy Christian Convent School in 1997 as the English and Social Science faculty. Mrs Mitra completed her B.Ed from IGNOU University and Graduation in Geography Honours from Gaya College, Magadh University in 1986.She has been an active philanthropist and also aided various social services as a member of the Lion's Club, Bihar zone. She is also Certified from Protection Of Children from Sexual Offenses (POCSO) for Child’s care against sexual offense. Mrs Mitra has been facilitated by Rotaract Club and Lions Club, Bihar for her contributions in teaching and education administration. She has attended and organised distinguished educational seminars including "Diagnosing Learning Difficulties in Children by Oxford University, "Effective teaching Strategies" by Ratna Sagar, "Self Esteem and Personal Development" by Wordsworth, "Child guidance and counselling" by Aditi Singhal. As a school student, she has been a avid sports player with keen participation in Basketball, Champion in Javelin, Discus and Shotput. He has worked for IPL team Kings XI Punjab and was appointed as the official Blog writer for Indian Soccer League. Mr. Kamboj was the Program Incharge for Mission XI Million; India's largest school contact program in precedence to FIFA U17 World Cup 2017 in India. He was the incharge for the states of Punjab, Himachal Pradesh and Haryana. He has been recently appointed as the Sports Development Officer by FIFA India body. Sri Vijay Singh Sangwan is a Wrestling veteran and has been associated to Wresting Sports since 1978. He is currently holding the responsibility of Sports Director at Venkateshwar International School (Dwarka), New Delhi. He has been the International Judge and Refree for FILA Wresting Federation of India. He holds the prestegious NIS Qualified Wrestling Coach certificate. Sri Vijay Singh Sangwan was the Wrestling Coach at the 1984 Summer Olympics. He has coached some well known Wrestling Celebrities and Arjuna Awardee Dy.Commandant Ombir Singh and Inspector Ashok Kumar. He has also trained Guru Dronacharya Awardee Mahabir Bishnoi. Nikk (Nikhil Krishna) is a 21 year old, Delhi based freestyle footballer who has more than 10 years of experience in playing football as well as freestyle football. As a performer, he entertains the audience by displaying eye catchy and stunning tricks with a football. Nikk has appeared in an ad featuring Italian football legend Alessandro Del Piero, Dutch-Spanish footballer Hans Mulder and Spanish professional footballer Bruno Herrero Arias. He has also appeared in an ad for Delhi Dynamos, a football franchise that competes in Indian Super league. Nikk was also a part of the jury at the Indian freestyle championship in 2016 . Other than that he was the second freestyle footballer signed by FIFA U-17 to perform in various World Cup cities. His work was covered by more than 10 different News channels and he has also been featured on a special edition of Hindustan Times print paper. He also aims to spread the culture of freestyle football around the country. A major problem while learning freestyle football is the lack of proper guidance and coaching because of very less professionals in the country. Through the medium of this technological platform TopYa, Ankit and Nikk will introduce a proper structured freestyle football course which can be accessed by anyone anytime to start learning freestyle football. With the help of Virtual coaching and feedback process, anyone will be able to learn freestyle football in no time! With more than 5 years of experience in freestyle football, Ankit is one of the finest freestyle football artist in the country. He practices daily to hone his skills and to become one of the best in the trade. He ranks among the top 10 freestyle footballers in the country. He dazzles the audience and captures their attention in no time by his mind blowing skills. He has worked for major companies such as Decathlon, Hindustan Times HT GIFA, Hero Motor Corp., Adidas and many others also! Also he was recently signed by FIFA U-17 World Cup, the first ever FIFA tournament happening in India to perform for the World Cup Trophy Tour in all the World Cup cities of India. He was also featured on the FIFA official Instagram page which has more than 5 million followers! Other than performing these tricks for showcase purpose he also believes that freestyle football can be used as a great way to keep oneself fit and healthy. He envisions to spread this art-form across the country so that others can also get motivated to stay healthy and active. Rajni Ramachandran is a Hula-Hoop ​Performing ​Artist (and dancer) currently based in New Delhi (Indian born in Sudan & brought up in 8 countries​ across the globe​), who navigates in the fields of Performing Art & Costume Design. She has performed over 500 shows at Bollywood musical 'Zangoora - The Gypsy Prince' & multitudinous shows of acro-yoga and aerial with Natya Nectar Dance Company. Her recent endeavours include Teamwork Arts​​' 'Bollywood Extravaganza' in Egypt, Russia & China; Clean-India Acrobatic Improvisation at Imagindia seminar, ​Dance India Dance​​ Top 60​/ Dance Plus TV Round​, Hoop Act​​ in Gang Of Girls (Play on Women Empowerment), Nestle Munch​/​Hero MotoCorp​/My Airtel App TVC and many others! She is also a Clean India enthusiast and her short movie "A Dream Caught: Clean-India Hooping" short movie was shortlisted for Swachh Bharat Short Film Festival. She also wishes to encourage everyone to push their boundaries via hooping no matter what the age, gender or any other factor. Mr. Viren Barman has been Mister India 2016-17 (1st runner up), Adidas Athlete, a certified personal training and strength & conditioning coach and a certified Ashtanga Yoga teacher. He is a certified nutritionist, certified group trainer, TRX, RPM instructor and a National level basketball player who has represented India at the Asian Youth Games, Singapore for basketball.